(When) Should you update to WordPress 5.0? Is now the right time to update? So our advice boils down to: if you can wait, wait. 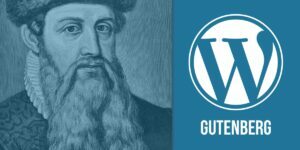 So if you have a busy end-of-year, if you’re not 100% sure your site will work with Gutenburg or if you don’t really need Gutenberg in the first place; wait (while WordPress 5.0 stabilizes with some minor releases). This entry was posted in lang:en, wordpress, wp-youtube-lyte and tagged blue monday, gutenberg, lyte, update on 7 March 2018 by frank. So Gutenberg, the future of WordPress content editing, allows users to create, add and re-use blocks in posts and pages in a nice UI. These blocks are added in WordPress’ the_content inside HTML-comments to ensure backwards-compatibility. For WP YouTube Lyte I needed to extract information to be able to replace Gutenberg embedded YouTube with Lytes and I took the regex-approach. Ugly but efficient, no? I’m not going to use it for WP YouTube Lyte as I consider the overhead not worth it (for now), but who know it could be useful for others? This entry was posted in howto, lang:en, Web development, wordpress and tagged extract, gutenberg, peg parser, structured data, the_content on 25 January 2018 by frank.